LOS ANGELES—Fate has a rep for being the most fickle of mistresses, but the highs and lows of destiny can’t come close to touching the whirlwind of emotions generated by the state of PC gaming at E3. The Razer Edge was one of many shiny, new gaming PCs showing off at E3 2013. On one hand, PC hardware and PC games alike were at the show in abundance. Seriously—there was a flood of computer-related wares tucked into every nook and cranny of the show, and many of the major games announced this week are headed to our hallowed PC shores. Good times! But on the other hand, you had to really dig to find playable PC gems on the show floor. The vast majority of those triple-A PC games, you see, are also destined to land on the Xbox One and PlayStation 4—and it was the next-gen versions of those games that earned top billing (and exclusive in-game extras) at E3 despite the PC’s graphical superiority. 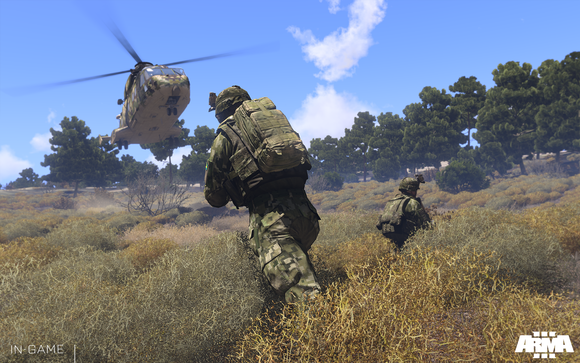 Arma III’s beta was one of the playable PC-gaming highlights at the show. PC-only exclusives were indeed rarer than a rational fanboy, but there were a few to be found—and when we did find them, they were glorious. Both Microsoft and Sony ditched the IBM processors found in the current generation of consoles in favor of x86 chips for the next round—basically making the Xbox One and the PlayStation 4 glorified, living room-ready PCs. Elder Scrolls Online is one of the games that will launch cross-platform for both PCs and consoles. The bad news: We’re going to see a flood of console ports. No less than a dozen triple-A, computer-bound cross-platform titles were announced the day before E3 began, and the promiscuous PC games kept coming once the show began. Plants vs. Zombies: Garden Warfare, The Evil Within, Outlast, Payday 2, and many, many more are coming to PCs and consoles alike. Even PC stalwarts are spreading the love. The latest Wolfenstein, Company of Heroes 2, The Elder Scrolls Online, and The Witcher 3: Wild Hunt are landing on consoles as well as PCs right from launch. And who can blame them? Developing a big-name game costs mucho dinero, and considering how easy it will be to spread port games to PCs and x86-based consoles alike, developers would almost be crazy not to go cross-platform if they have the opportunity. But wait! Before your lips curl and you start sneering “Portsssss” with disdain, consider that all the cross-platform action has some major upsides for PCs, too. For one thing, it means many of the biggest games of the next year are coming to computers. Titanfall, Mirror’s Edge 2, Need for Speed Rivals, Watch Dogs, all the games mentioned above, and dozens more are destined for PC shores. Sure, they might not be made exclusively for the PC—but they are indeed coming to the PC, and that’s a big improvement over some years past. The cross-platform push might even serve to improve PC gaming across the board, at least at the low end. Currently, the lowest common hardware denominator for cross-platform titles is the decrepit current-gen consoles. The Xbox One and PlayStation 4 rock the rough equivalent of a mid-range GPU. If developers start coding with that in mind, an across-the-board boost in minimum graphics may just be on the horizon. Not every game can be made cross-platform, of course. While mainstream titles stick to streamlined control simplicity, some PC titles take full advantage of the myriad buttons available on the ol’ keyboard-and-mouse combo, and that kind of complexity just doesn’t translate well to a gamepad. The three major PC exclusives available on the E3 show floor serve as a testament to that. 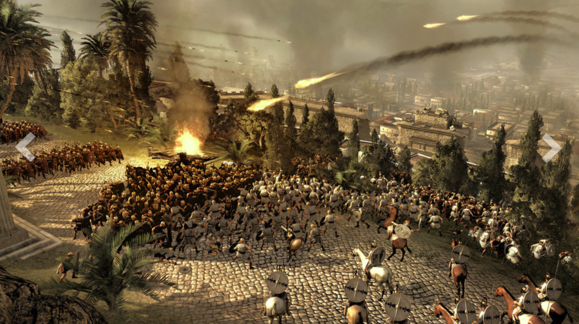 Playable at E3 2013 was the beta to Total War: Rome II, due September 3rd. Total War: Rome II, the sequel to the blockbuster blast-from-the-past Rome: Total War, is playable on the show floor and looking incredibly sweet ahead of its slated September 3 launch. Representatives say the game is rapidly approaching beta state. The same holds true for ARMA III. That title has been available in alpha form for months now, but Bohemia Interactive is showing a more advanced beta version at E3, with a focus on vehicular weaponry, logistics, and nighttime warfare. An ARMA III beta is landing on June 25, while Bohemia’s cleaned-up, stand-alone version of the popular zombie survival game DayZ—also playable at E3—is set for “imminent” launch. 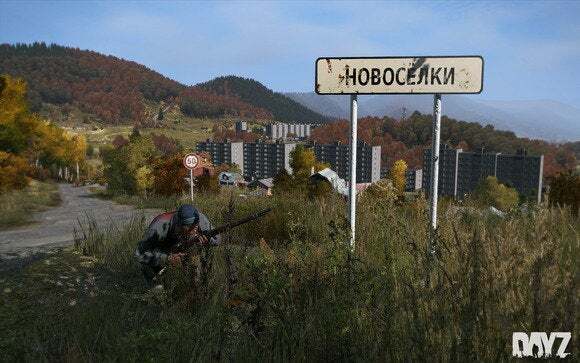 The PC-only DayZ from Bohemia Interactive is set for “imminent launch.” Bring it on, zombies! 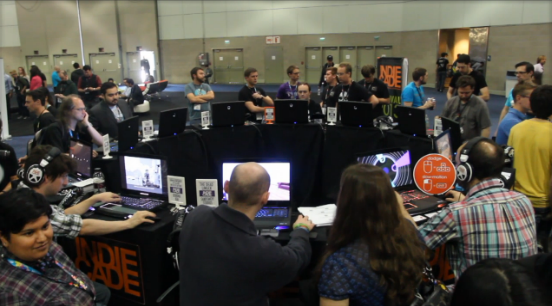 A massive roundtable of laptops ran games at IndieCade at E3 2013. That level of accessibility has made the PC a bastion of indie gaming. Sure, there are a handful of PlayStation 4 indie titles to keep an eye on, but the IndieCade showcase in the South Hall is dominated by a massive roundtable of laptops, all running games created for computer lovers. While the consoles complicate indie game development with regulatory hoops and massive update fees, PCs keep it simple—and thanks to that, look for the small gems to keep shining on computers for a long, long time. Perhaps the most intriguing part of the IndieCade occurs away from the roundtable: Four games have popped up with Oculus Rift support, giving showgoers a chance to truly get in the game with the hot Kickstarter-backed technology. I had a chance to go eyes-on with a new 1080p consumer prototype of the VR headset here at E3, and I have to say, the Oculus Rift is looking mighty impressive from both a hardware and a software standpoint. 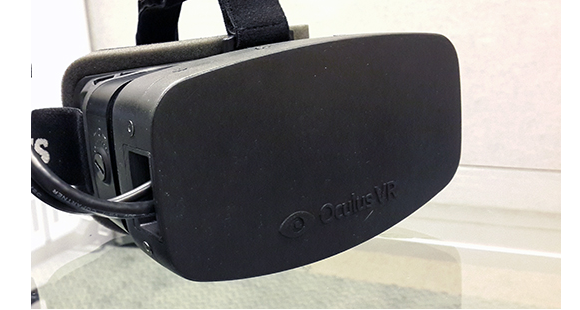 Oculus Rift’s new 1080p VR headset—what can we say, other than awesome! This Plextor rig with serious SSD storage was one of many PC hardware highlights from E3 2013. Taking a step back for a moment, the state of PC gaming leaves me with mixed feelings at E3. The focus on indie games and killer hardware is definitely rad, and the handful of PC exclusives out there is impressive. The fact that so few marquee games are playable with a keyboard and mouse, on the other hand, is a bummer. You can’t help but shake the feeling that the PC is playing second fiddle to consoles at E3. But, to be fair, that makes sense—E3 has always been console-centric, and the Xbox One and PlayStation 4 were both announced this year. Even if EA and Ubisoft are thrusting gamepads rather than mice into the hands of players at E3, the fact remains that a slew of marquee titles are definitely being brought to the PC. The cross-platform gaming push means that more console games will be coming to computers—and PC gamers will be able to have their cake and frag it, too. In five years, when the Xbox One and PlayStation 4 are getting long in the tooth, we may bemoan the fact that their x86 architecture makes it easy for developers to port titles between them and the PC so easily. But for today, at least, that ubiquity means many of the biggest games out there are coming to computers—as are a handful of complex, killer PC exclusives, a bunch of innovative hardware, and an avalanche of quirky, fun indie games. And don’t forget that top-end PC hardware already outshines those shiny new consoles. Ports? Meh. But once you leap that mental hurdle and dig under the console-centric surface of E3, it becomes clear that for the foreseeable future, PC gamers will be able to have their cake and frag it, too.